Karen Farris is a licensed risk manager with more than 30 years’ experience developing comprehensive global insurance solutions for commercial clients. She started the firm’s Technology, Life Sciences & Media Practice Group and is recognized nationally for her expertise in this field. Karen serves as an advocate and mentor to young female insurance professional women through her professionalism, leadership and outstanding contributions. Karen is a graduate of Bowling Green State University with a degree in Business Administration. After 10 years with a national insurance carrier, she joined RHSB in 1982. She was named President in 1994 and CEO in 1996 and serveed as Chairman of the Board until 2017. Under her leadership RHSB has tripled in size and is now one of the leading brokerage firms in Texas. As CEO from 1996 to 2011, she successfully guided the firm through an internal perpetuation of stock from the founding partners to the 12 shareholders. In 2017 Karen was appointed chairman of the RHSB Foundation established through Communities Foundation of Texas. Karen has served as president of both the Independent Insurance Agents of Dallas and the Dallas Chapter of CPCU. She is a member of the Rotary Club of Park Cities and is a Past President and has served on the Board of Directors. As President, she spearheaded a campaign which raised over $250,000 to purchase the first mobile food pantry for the North Texas Food Bank. She is a charter docent at the George W. Bush Presidential Library and a longtime volunteer for the American Heart Association serving as a member of the Insurance Task Force. Board positions include Attitudes & Attire and The Agape Clinic. She is also a Meals on Wheels volunteer and cooks at the Ronald McDonald House. RHSB – Karen joined the firm in 1982 as Vice President of Marketing, was named President in 1994 and CEO in 1996. She was the firm’s first female shareholder. 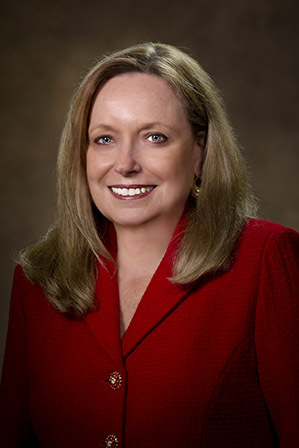 Independent Insurance Agents of Dallas – In 1992, she became the first female president of the IIAD and is the current chair of the IIAD Foundation. Chartered Property Casualty Underwriters Society – Karen was elected president of the CPCU’s Dallas chapter in 1986. She also served on the CPCU National Meeting Committee during the mid-1990s and was the education chair for the CPCU National Meeting in 1999 in Boston. Assurex Global – Karen was the first female chairperson of Assurex Global, the world’s largest privately held insurance brokerage group with over 20,000 insurance professionals in 558 offices on 6 continents. In 2006, Karen was selected for Business Insurance magazine’s “Women to Watch,” a special report highlighting women of accomplishment within the insurance industry. She was named an honoree in the Dallas Business Journal’s 2009 Women in Business Awards and was recognized as one of the Top 25 Changemakers. In 2009, Attitudes & Attire selected Karen as their Kim Dawson Attitude Award recipient.